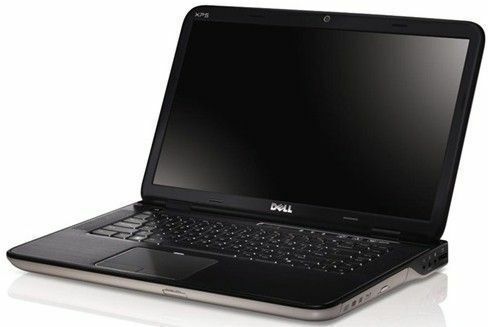 Let’s be honest, when it comes to things like consumer notebooks and laptops, Dell has seen mixed results. However, that hasn’t stopped the company from giving it another go. That’s right, Dell is at it once again with the introduction of Dell’s XPS 15z, the first device in a series of laptops said to be thinner and more elegantly designed. Dell is attempting to show the world that it knows what consumers want, as well as what business professionals want. While Dell has no doubt succeeded in the business market, which is the company’s core market, it is still trying to figure out the perfect formula for consumers. A lot of consumer products from Dell, like the Streak tablet or the Venue smartphone, have failed to gain the attention that Dell wanted. The new XPS 15z has an aluminum and magnesium alloy body and looks like it got some inspiration from Dell’s failed line of Adamo notebooks as well as the MacBook Pro and Air from Apple. What is noteworthy about the XPS 15z is that it is less than an inch thick which, according to Dell, makes it the thinnest 15-inch PC laptop currently on the market. Dell’s former XPS laptops have been criticized by reviewers who stated that the devices were chunky-looking and heavy. This new version is definitely thinner and it isn’t hard to notice too. You can definitely see the sleekness of the XPS 15z and feel it as well. This device has a starting weight of 5.54 lbs, which is roughly one pound lighter than the previous XPS model. The XPS 15z comes with either an Intel i5 2410M 2.3GHz dual-core processor or an Intel i7 2620M 2.7GHz dual-core processor, 4GB to 8GB of memory and a 15.6-inch 1080p screen. The 15x also comes with a standard lithium ion battery that promises up to 8 hours of battery life. The Dell XPS 15z is available now for a starting price of $999.